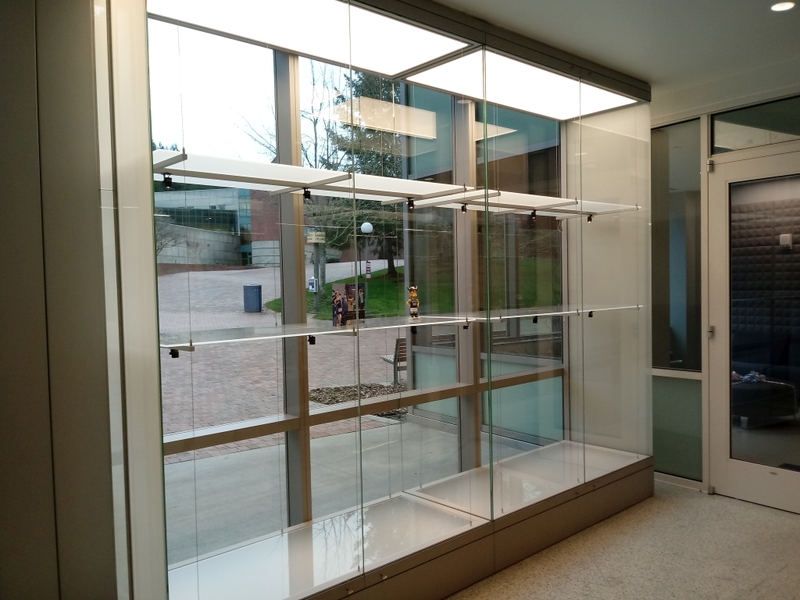 Custom made display case assembled on site. Case with special heating devices and LED spot lighting under each shelf that are heigh adjustable. Case with LED ceiling panel, milky glass internal base and sides.